Let’s get technical (sung to Olivia Newton John’s “Let’s Get Physical”) White is a color, although it is also an optical illusion. The color white is merely a perception which is evoked by light (the color white does not exist without light) that stimulates all three types of color sensitive cells in the human eye. These cells are actually all stimulated in nearly equal amount and with high brightness compared to the surroundings in order to produce the color white. An object whose surface reflects back most of the light it receives (opaque) and does not alter its color will appear white. Most sources of light and incandescence also appear white. The etymology of the word “white” in most languages usually also means “bright”, “reflected”, and “light”. Clearly ancient civilizations understood the concept that the color white was similar to lightwaves way before science caught up. When white appears in nature (such as clouds, and snow) the color is actually only water crystals reflecting back the light of the sun. Remember, even the moon at night (which often appears white) is reflecting back the color of the sun. Rather than delve into the man-made connotations of the color (purity, chastity, holiness, weddings, mournings, et. al. ), I think of white merely as an extension of the sun and life, and the light provided by stars. This is its natural state, devoid of context. Image and furniture via Ikea. 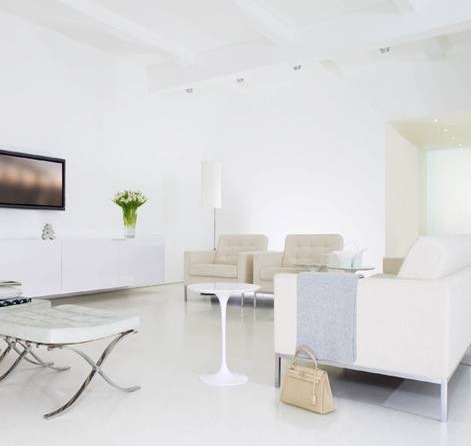 White furniture in a white living room can create an illusion of space. Both of the above images are from the same home. And, technically speaking, if you were to view these white spaces against a dark backdrop, the brightness would be even more obvious! 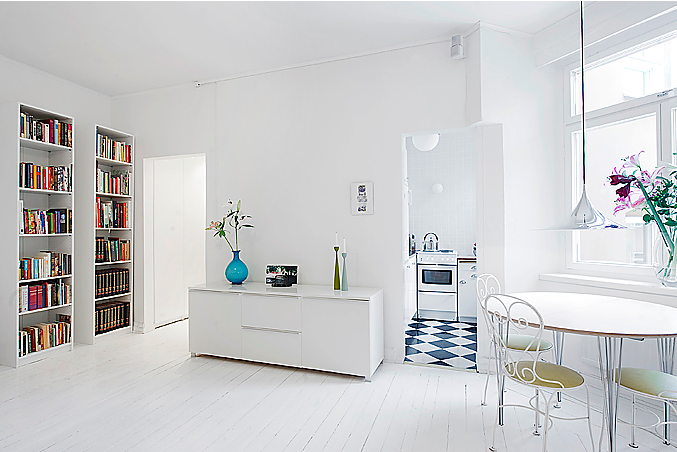 White allows deeper hued objects (such as vases, books, and flowers) to pop at full potential. 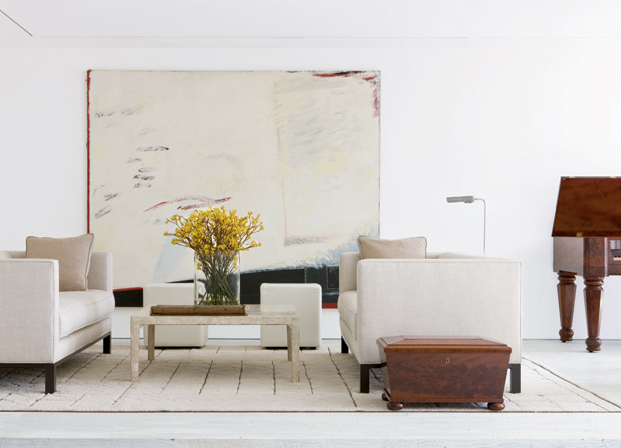 The contrast between the white and the tchotchkes allows each object to be put on a pedestal. It also allows each object to seem purposely chosen. Image found HERE. White does not have to be minimal! Stick to a color palette of three (burgundy, brown, and white) for a lush and deep feeling. Photo by Art Gray, New York Loft styled by White Webb. A shabby chic inspired white room replete with reclaimed barn wood floors. Also, the varying materials in this room force the eye to look at all objects and all dimensions. Designer Darryl Carter transformed this blank space. 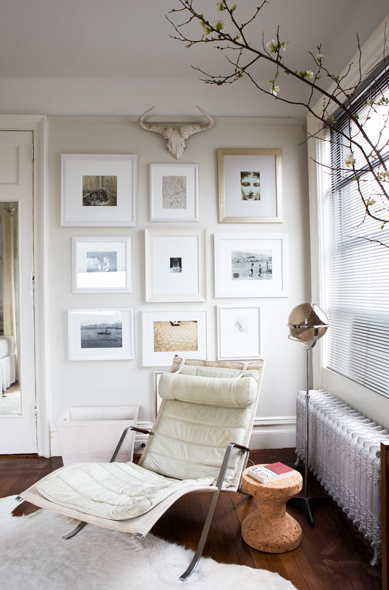 Benjamin Moore’s “Simply White” is used throughout the apartment but to add the illusion of airiness, openness, and area. Image photographed by Gordon Beall and found HERE. 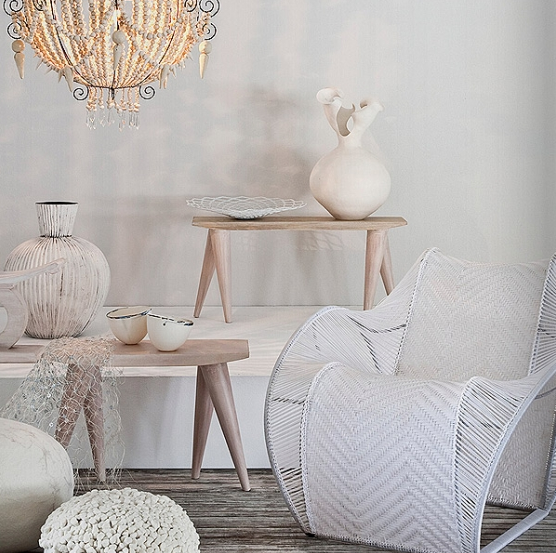 Amaridian, has teamed up with Cape Town’s Design Africa to showcase and promote excellence in African design. The images is from the showcase of African design in NYC, products by Mud Studio, Ronel Jordaan, Tekura Design and Diallo Design. 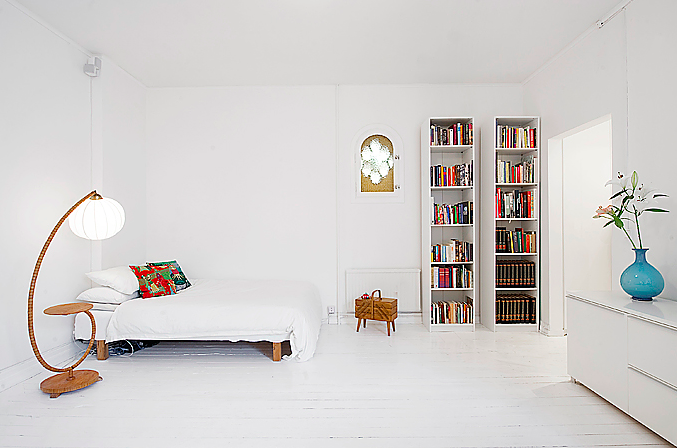 White does not need to have stark geometric shapes, and uber clean lines. 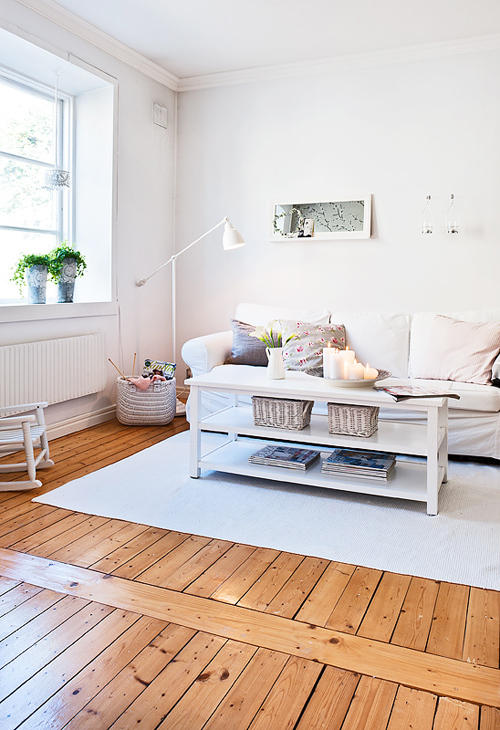 Here the color white is romantic, trivial, and subdued. Image found HERE. Did I mention how important windows (and thus light) is for white? The above loft has a very 1970’s design aesthetic! Image found HERE. Ebony and Ivory! Black, Red, and White is a classic color scheme that is never wrong. Image found HERE. 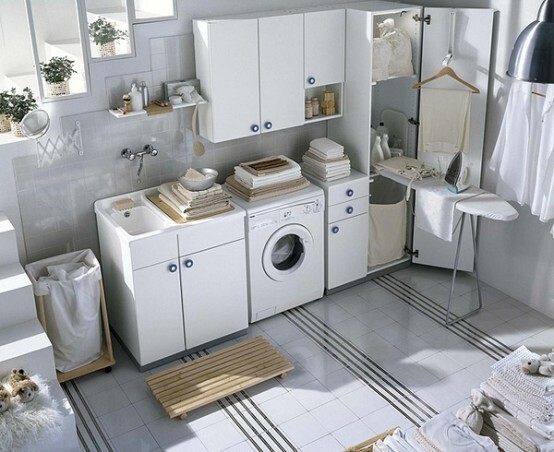 I could actually see enjoying laundering in this space. I have never felt invited in by a laundry room, but here’s to firsts! I bet spotting stains in this environment is super easy. I also love the light, pine wood accents. Image found HERE. Romantic, antique, luxe. Ivory, Cream, and White (keeping it in the color family). Achromatic works. Image found HERE. Shabby, Romantic, Charming, Country style. Image found HERE. I spy a Birkin Bag and a Saarinen Table and a Ludwig Mies van der Rohe designed Barcelona Chair. Image found HERE. 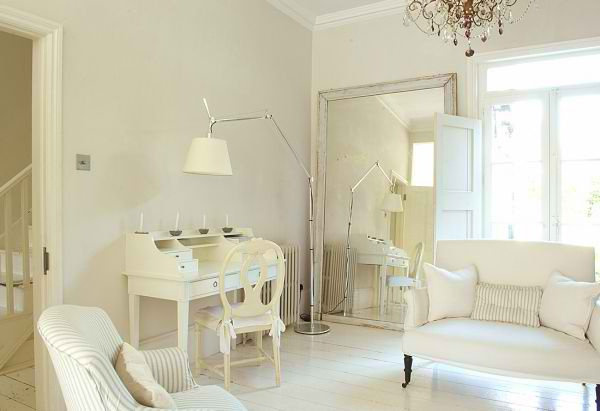 Neutral paint colors: ‘Veil Cream’ by Benjamin Moore and a Le Corbusier chaise. Somehow this space is rustic, western, and natural. Photo by Justin Bernhaut, Domino, Dec. 2006. Domino Magazine. HOW CAN I LIVE IN A WHITE WASHED DREAM CLOUD?